Sometimes travelling by foot just doesn’t cut it. August in Niagara calls for adventure! For those looking to spice up their day with a little excitement – try a cycling tour! The Twenty Valley boasts some outstanding bike trails, whether you’re peddling in between wineries, or taking the scenic route. Ontario weather proudly produces fierce conditions true to its season, so make sure to take advantage of the warm summer heat while it lasts. Don’t know where to start? 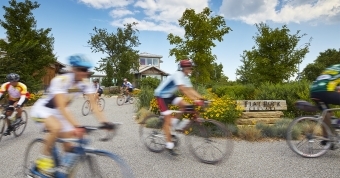 Visit niagaracyclingtourism.com for maps & routes, resources, and other cycling news.